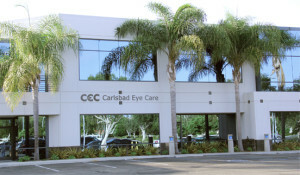 At Carlsbad Eye Care, we use the latest technology to provide the safest and most accurate results. We use the most precise, state of the art lasers in advanced vision correction. 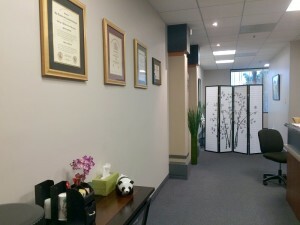 Dr. Tracy uses both the Intralase Femtosecond and VISX Excimer lasers. Because eyes are like fingerprints and everyone is different, Dr. Tracy uses the VISX WaveScan technology to create a custom, detailed map of your eye. When it comes to IPL treatments for dry eyes, Dr. Tracy uses the DermaMed Quadra Q4 machine to target blood vessels around the eye. Accurately assess whether you’re a good candidate for custom laser vision correction. Create an individualized treatment plan to improve the quality of your vision. Once it is confirmed that you are a good candidate, your doctor will schedule you for your LASIK or PRK procedure. The IntraLASIK method involves using the Intralase Femtosecond laser to create microscopic bubbles to separate the tissue of the cornea, creating a corneal flap. A uniform layer at a specified depth is created by thousands of bubbles. This layer is very smooth and takes about 15-30 seconds to create. Once the corneal flap is lifted, the Excimer laser is used to reshape the underlying corneal bed. The flap is then laid back down on the cornea. Advanced Surface Ablation (also known as Photorefractive Keratectomy or PRK) involves using a brush to remove the thin outermost layer of the cornea (called the epithelium), then using the Excimer laser to reshape the cornea. This method does not involve creating a corneal flap. The eye is allowed to heal naturally. The CustomVue procedure using the VISX CustomVUE Laser tailors a unique correction for each individual. 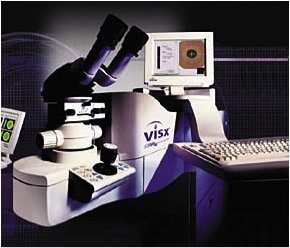 It employs the VISX WaveScan System, a diagnostic system that captures a map of the eye, which is 25 times more precise than what was previously measurable by standard methods for glasses and contact lenses. Intense Pulsed Light (IPL) therapy provides long-term relief for patients suffering from chronic dry eyes, blepharitis, and ocular rosacea. The DermaMed Quadra Q4 machine delivers targeted treatments to shrink blood vessels and improve meibomian gland function during dry eye IPL therapy. If you are interested in correcting your vision or learning more about IPL for dry eyes, please call best Carlsbad ophthalmologist Dr. Tracy’s office today to schedule an appointment, at (760) 603-9910.